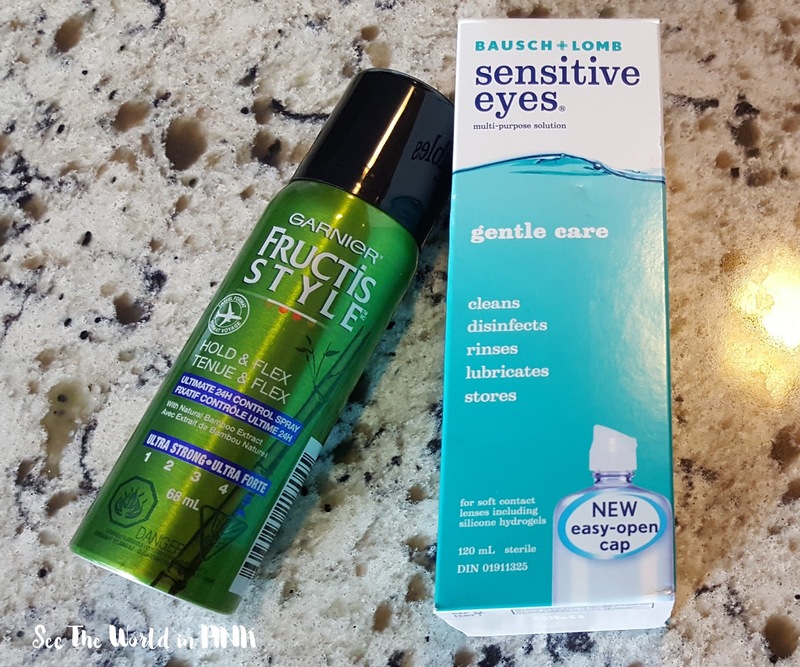 Superstore Travel Goodies ~ $8.41. I just had to pick up a few things for our trip - I pretty much have travel size products of everything except these products. I've never tried this hairspray so I will see how it is (it's just all they had). Sephora Order ~ $57.75. 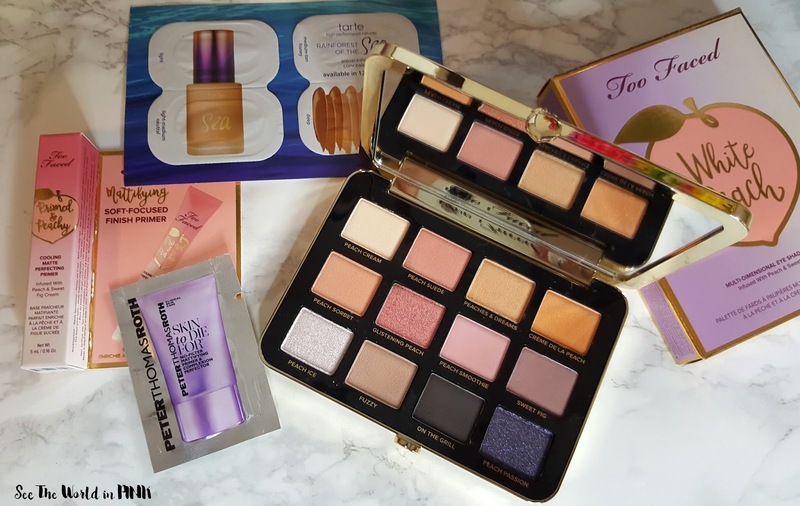 Okay, I could not resist placing an order when the new Too Faced peach palette - I feel like I must have ALL the peach palettes! This one is really unique to this collection too and I'm excited to play with it! Also, I love that the deluxe sample was the Too Faced Peach Primer - I have been eyeing this! Seacret Hair Brush ~ $33.60. 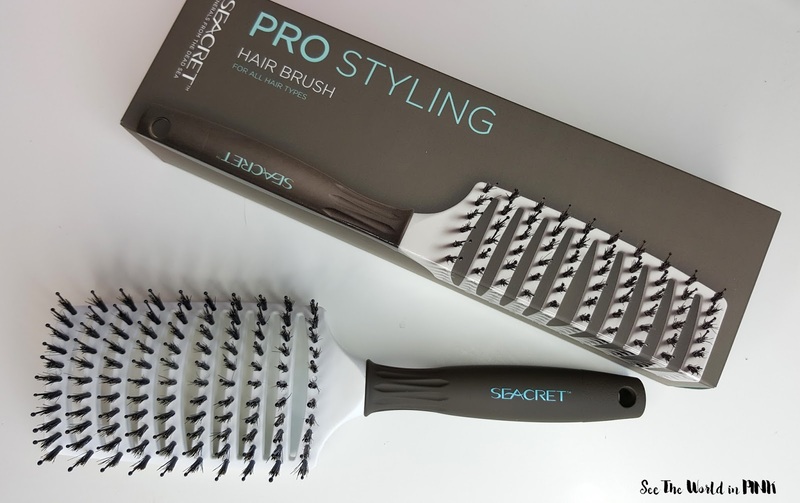 This is the Seacret Pro Styling Hair Brush and it amazing! I have thin hair and it works so well - no pulling and no frizzing (especially while my hair is wet!) It is very gentle and that's why my hair dresser started using it on me and it I had to pick one up! HUGE U.S. Shopping Haul ~ $417.40 US. 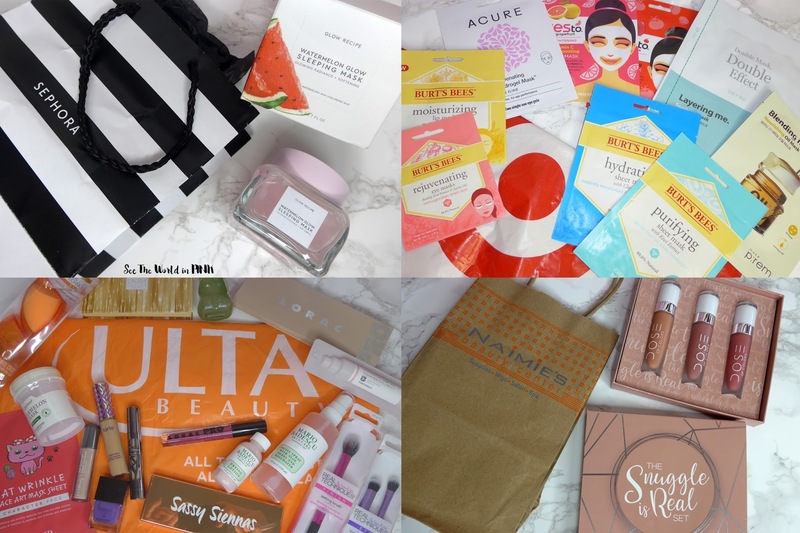 So, whoooops, I spent a little extra while I was in California - this is waaaay too much to talk about on this post, so I did a huge shopping haul post and you can check it out here for details on everything I picked up! So, for January I clearly went over budget spending about $640.45 - let's not even factor in my USD to CAN conversion because I might cry! I'm planning on a no-buy for February - fingers crossed!